Great photos, Chris. What mystery did the second one solve? Although not a sawback on the Pic, it gave me a pointer as to the possibility of what the stampngs on my bayonet were. 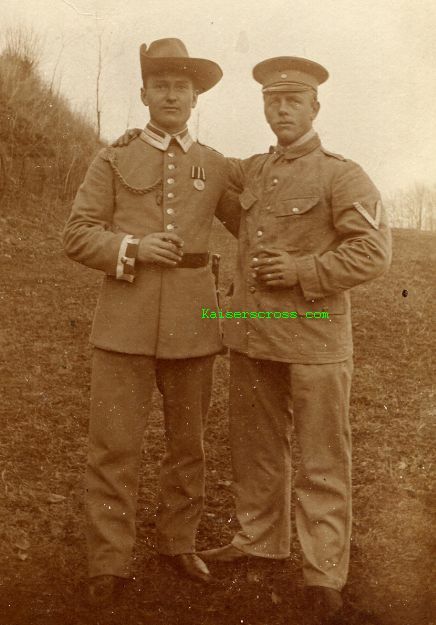 It is stamped to the 2nd Field Regt, the KS98 has the standard Schutztruppe stamps.. 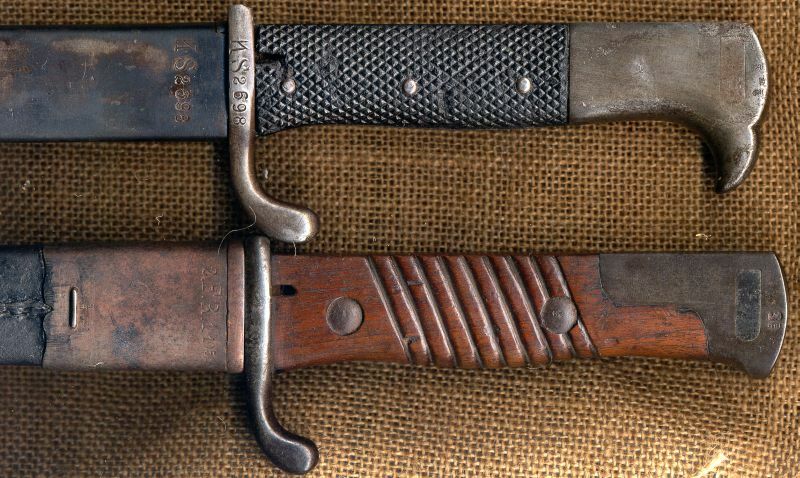 The wooden handeled KS98 was "souveniered" by a South African Soldier in GSWA during WW1. It is the twin of another GSWA non stamped wooden handle in a collection I saw In Cape Town last year. 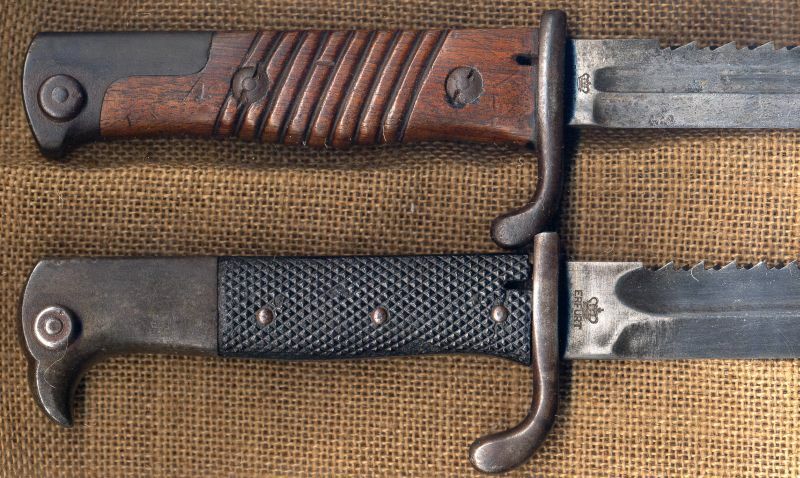 These DSWA bayonets were the standard souveniers for South African soldiers after the campaign, making South Africa the "Mecca" for Schutztruppen bayonets for many years. Tell me about the 2FR.1.105 marking on the KS98 . 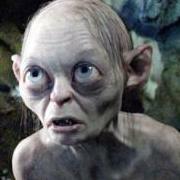 Was that is GSWA ? The marking "2.F.R.1.105" are believed to represent 2.Feld-Regiment, 1. 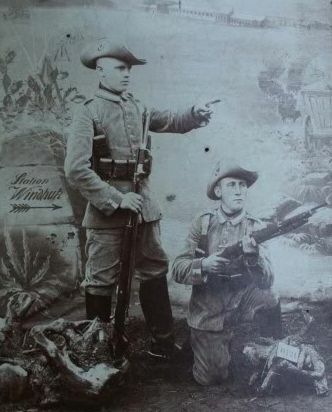 Kompagnie of the Schutztruppe of South West Africa, weapon number 105. 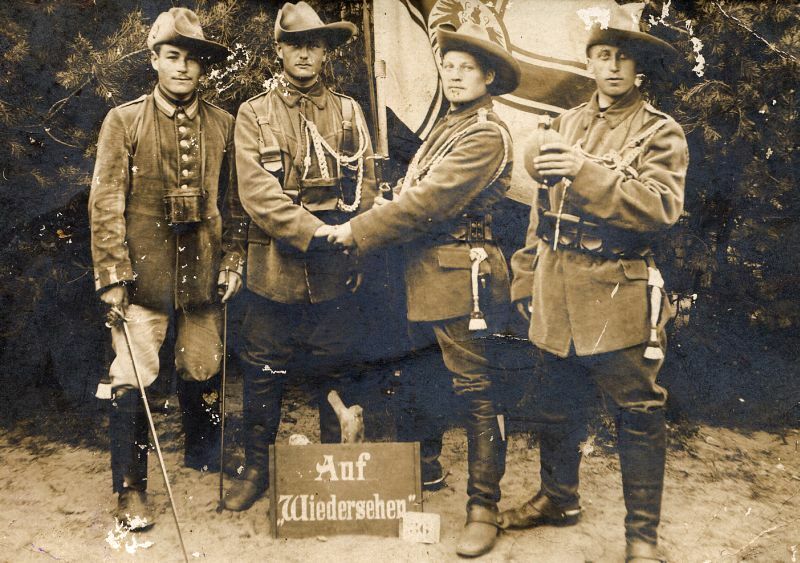 Tthe Schutztruppe were only temporarily formed into regimental units during the Herero Rebellion. This is one of very few Schutztruppe bayonets seen today with unit markings. Thanks for the information .What model bayonet is it?Never seen one like this before from the colonies. They can be seen in full here.. They predate the KS98 in GSWA. The guy second from the right in the photo in the second post has the version without a sawback. What model bayonet is it?Never seen one like this before from the colonies. It's an S98, old style with a sawback. You're right they were not commonly used by the Schutztruppe. This one is a real rarity. Thanks Chris great piece and you say it is stamped 1900 (00) on the spine? I think it's Erfurt in 1899 (marked "W99")... though t'other Chris will know for sure! Any idea what numbers the KS stampings go up to? I assume they corresponded to the rifle number? I think there were probably big gaps in the numbers series, and they in no way reflect how many bayonets were actually in DSWA.